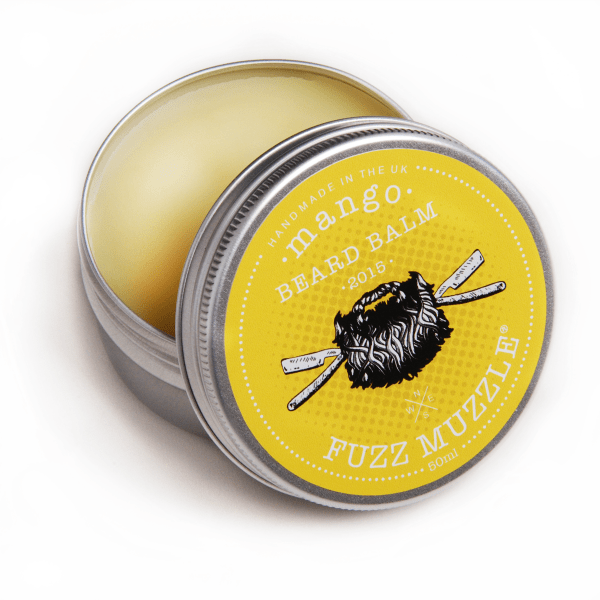 I have been using Fuzz Muzzle ‘Mango’ Beard Balm on my beard for the last few days. I prefer using balm to oil because it keeps my beard looking good, I wish had a soft and perfect beard but alas its dry and has the tendency to be very messy. Beard balm helps to keep all those stray hairs in check. Scent of course is a matter of personal taste, I like a sweet Balm or oil. So that sweet Mango scent coupled with a very nice balm has been a hit with me. The balm is a medium hold and kept my beard looking and smelling amazing. Also without a doubt it has made my beard feel softer. ‘Mango’ Beard Balm from Fuzz Muzzle is a nice quality balm and is welcome to grace my beard any-time. If you are after a Beard Balm, give Fuzz Muzzle a go, you won’t be disappointed! ‘Mango’ Beard Balm from Fuzz Muzzle is made up of Grapeseed Oil, Sweet Almond Oil, Argan Oil, Beeswax, Coco Butter and Shea Butter with parfum to give that amazing Mango smell. ‘Mango’ Beard Balm from Fuzz Muzzle comes in a screw top tin and is available in 15ml or 50ml and you can buy the 50ml balm by clicking the buy button above. Why not become part of the ever growing #FuzzMuzzleFamily. All you have to do is use the hashtag #FuzzMuzzleFamily in your comments or photo’s to communicate via Facebook, Twitter or Instagram. The best selfies, photo’s and pictures of our products will be hand picked by The Boss and will feature on our social media platforms or within our Fuzz Feed.